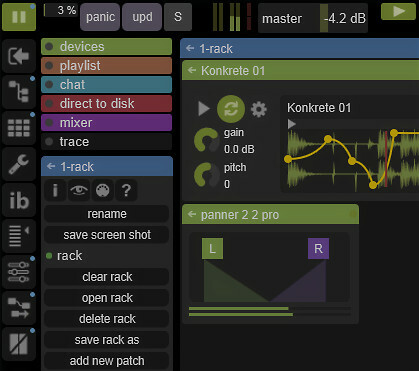 Sensomusic has announced Usine Hollyhock 1.1, a major improvement to music software dedicated to live music and real-time installations. We made a particular effort to improve the stability and the efficiency of the audio engine. Usine 1.1 provides a new global ergonomics and design to make Usine simpler than ever with a fresh and user friendly interface. Also a powerful help system has been implemented to support new users. The audio engine is much more efficient. Global speed optimization more than 20% on heavy workspaces. Loading of patches and workspaces is 2x faster. Saving of patches and workspaces is 10x faster. Many other improvements, and bugs fixed. 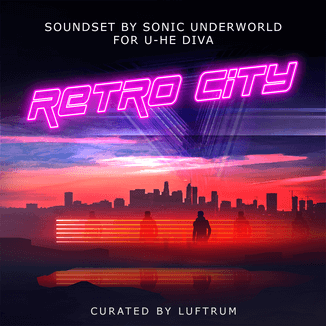 Usine Hollyhock for Windows and Mac is currently available to purchase for 119 EUR (30% off regular of 179 EUR). 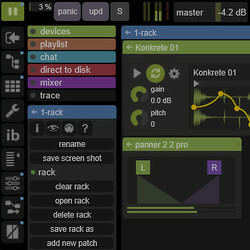 The update from previous version of Usine is 49 EUR (regular 79 EUR).